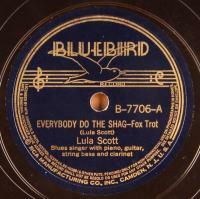 Fine late 30s blues vocals by Lulu Scott with clarinet, piano string bass and prob. Willie Bee James guitar accompaniment. Also George Jefferson vocal on “Baby Can I Holler.” Apparently, her only recording. 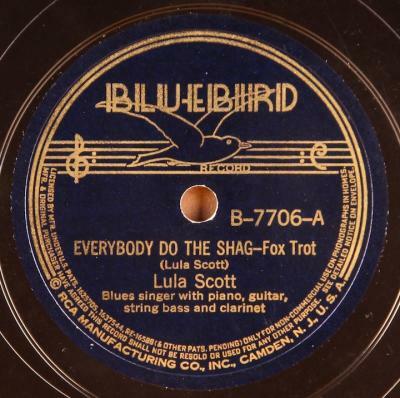 Recorded in the Leland Hotel, Aurora, Ill. Condition: E/E+; Plays great, loud and strong, nice quiet surface. Generally choice, very clean copy, aside from very minor scuff or two and very light staining on the runout.